I went on my first fly fish islay trip back in April 2012 and I loved it that much I went back in September 2012 and have been back at least once a year ever since. David and glen are not only top guides (able to guide people of all fishing abilities) but top blokes too and they definitely make the trips what they are. No matter whatever the weather there is always somewhere fishable on the island so you are never disappointed. Glen calls Islay the island of dreams, it is, and it’s also the island of memories too. If you are lucky enough to go on a trip you will not want to go home. 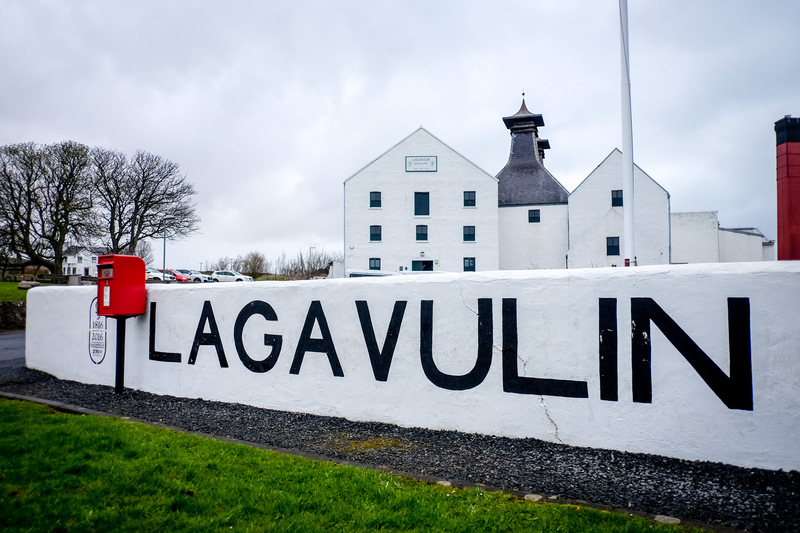 My first trip to Islay with Glen and Woody goes back to 2010 and although the trip was blessed by a massive gale and the volcanic eruption in Iceland it was an incredible experience which I promptly renewed the next year. 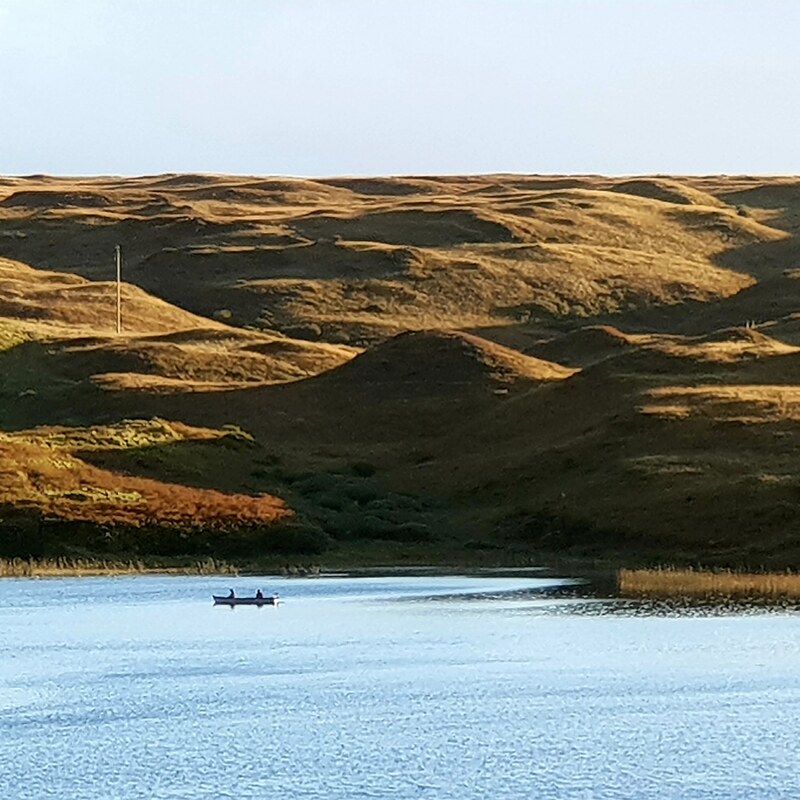 There is nothing like fishing on Loch Finlaggan with only a pair of nesting eagles as competition for those beautifully marked brown trout with huge, dark eyes. Glen and Woody were great hosts who helped us explore the island and discover its gorgeous landscapes and fantastic fishing. Not to forget the evenings clustered around the table tying up the next day’s supply of flies with a pint and dram to chase away the chill and the good natured banter while Glen gently corrected my misguided efforts. Although I caught a lot of trout I didn’t catch any big ones but I caught that most elusive trophy of all, memories which will last a life time. Thanks Glen & Woody! I first visited the magical Isle of Islay back in the spring of 2010 under the guidance of angler and whisky connoisseur David Wood. A group of six, we stayed at the magnificent, white walled Finlaggan House, 100 yards from the historic loch, the most picturesque venue I’ve ever fished. The shallow, limestone loch was just incredible, the Paps of Jura and the ruins of the 14th century chapel adding an indescribable backdrop to the clear, peat tinged and extremely cold water, something I will never forget. Fishing was almost secondary to the magnificent scenery, but not quite! The uniquely marked, wild brown trout, that had never seen an angler before, let alone a trout pellet, came to both dry and wet flies from the banks of Finlaggan and to the boats at Loch Gorm and Loch Ballygrant. We even found time to land a few coalies and pollack, fishing at high tide from the Sound of Jura, with the beached and rusting wreck of the Wyre Majestic as a backdrop. There were many other Lochs available to fish and other species including hard fighting sea trout. The bespoke nature of the trip and David’s knowledge of the Island allowed us to fish however we wanted, when we wanted or what the weather dictated. Obviously a trip to Islay wouldn’t have been complete without a visit to one, or more, of the whisky distilleries the island is famous for. This is when having a guide such as David, who has worked in and around the Islay whisky industry for years, has its obvious benefits! 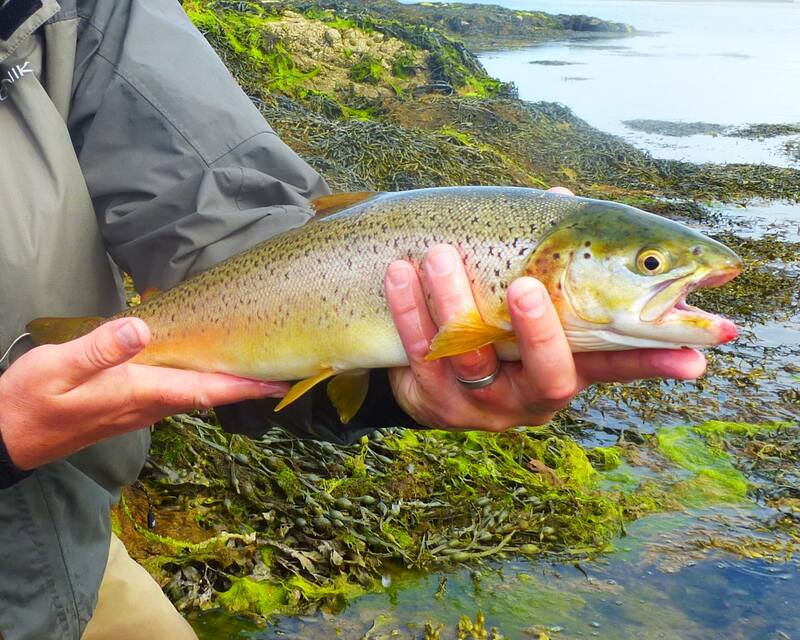 Fond of a peaty whisky and excited by the prospect of tempting a wild brown trout with a fly rod, in 2013 my pals and I (8 of us, all fly-fishing novices) decided to book a trip with Fly Fish Islay. A week later we left the island with heavy hearts, a greater apprecation for both indulgences and testament to our first experience of the place, we’ve been back every year since. Lots of fish were caught, far too much whisky was drunk and many of the lads now consider David and Glen to be pals. Couldn’t recommend the experience enough. 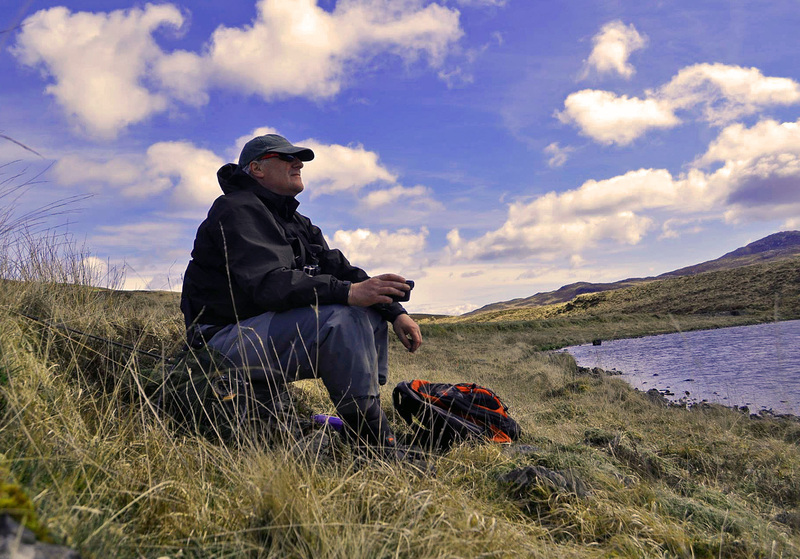 This year saw me turning 50 and as a special treat I booked a week with Fly Fish Islay …… and what an unforgettable week it was. David is an excellent host, his local knowledge of both fishing and whisky is unequalled. With a new ‘welcoming dram’ every evening at our accommodation, fantastic home cooked food and a roaring fire chatting about the days fishing with all the other guests. The resident guide is the infamous Glen Pointon, who it has to be said is unique in every way. Again with an excellent local fishing knowledge and a passion to see all the guests catch and generally laugh like you’ve never laughed before. The location of the farmhouse is right on Loch Skerrols, one of the smaller lochs on the island with a good head of hard fighting wild brownies. Day 1 was, as to be expected perhaps, a real mix of weather including rain, hail, snow, wind and sun. Glen took the two newbies on the boat and helped catch their first every trout on the fly while myself and the other guest, under David’s expert guidance, took wading the edge. We had some amazing small brownies throughout the day which certainly gave me a challenge on a 2wt glass rod. The evening was spent in front of a roaring fire enjoying a range of beautiful malts while getting to know Glen better and tying flies for the rest of the trip. The first day set the stage for the rest of the week, fishing the lochs with a chance to jump into the car when the tides were right and get onto some sea trout. On day 2 I caught my first ever sea trout on a blue elver fly which I had tied that morning. which left me grinning from ear to ear. The highlight of the trip for me was on day 4, I had a full day with Glen and got to understand what a great guide he is. Really patient, knows how to read the water very well and full of advice and tips. We walked to one of the hill lochs, Loch Drolsay, but went the hard way – a straight line walk from the farmhouse. It was really tough going through swamp, across fences and over the burns in waders and carrying all the kit. A lot of perseverance and we made it to an amazing moonscape with the wild loch in front of us. Amazing views but very strong winds and intermittent rain. Glen spent a lot of time helping me with getting my casting right in those conditions and I was rewarded with two of the most unusual and amazing wild browns I had ever seen, almost prehistoric looking. The only way to celebrate was with a cup of tea before the long and happy trek down to the farmhouse for some proper 12 year old single malt scottish tea. My expectations for the week were high and it is safe to say that they were exceeded in every respect. Both David and Glen are great guides, awesome fun to be spend time with and patient enough to make sure everyone got the most out of the trip. I learned a great deal from the trip, caught some fish of a lifetime and am rearing to go back next year. If you have any interest in fishing for truly wild and hardy fish and perhaps have a love of malt whisky – you can’t beat this trip! Thanks guys, see you next April.